Conveyor Interfacing control module - Using PLC Input 230V DC 1 No. of Proximity Sensors 1 No. 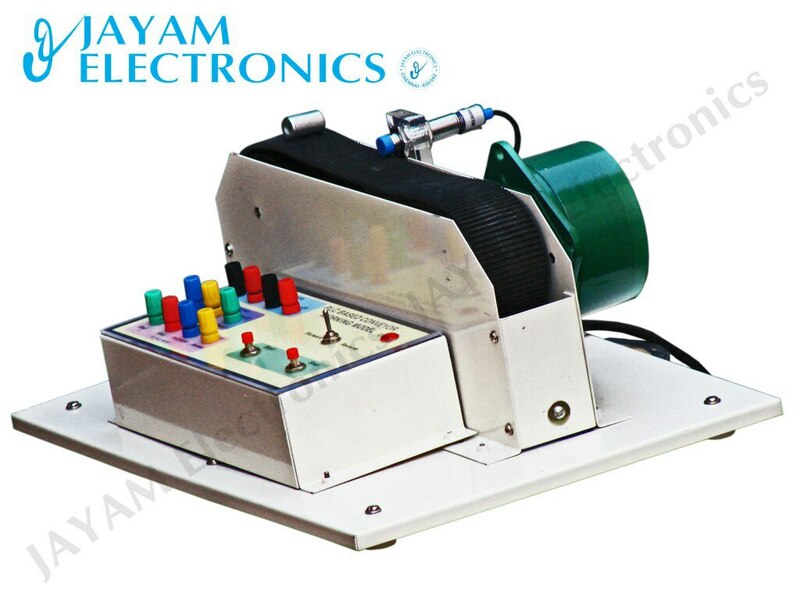 AC Servo Motor 60 RPM PLC input and output terminals -------------------------------------------------------------------------------------- A conveyor system is a common piece of mechanical handling equipment that moves materials from one location to another. Conveyors are especially useful in applications involving the transportation of heavy or bulky materials. Conveyor systems allow quick and efficient transportation for a wide variety of materials, which make them very popular in the material handling and packaging industries. Many kinds of conveying systems are available and are used according to the various needs of different industries. There are chain conveyors (floor and overhead) as well. Chain conveyors consist of enclosed tracks, I-Beam, towline, power & free, and hand pushed trolleys.